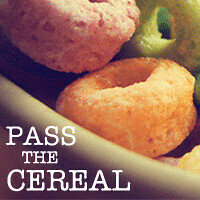 Pass the Cereal: Thank you for your support! Walk MS was this past Sunday and wow, did our team have an awesome day! I mean, just look at this ginormous group (and some people are missing from the pic). Thank you to everyone who supported our team with donations, thoughts, prayers, and love. I hope you learned a little more about MS in the process and I hope we have helped raise more money for more research for a cure to come soon! As of today, our team has raised over $7200. Just incredible!! Well, about as incredible as that woman in the front...see her there? Right behind my pigtailed cutie? Yep, there is our awesome friend Tracie! I say "our" because every person in this photo loves her with all their heart. She is an incredible friend to each one of us and I know I am not alone in saying, I was proud to walk along side of her! Thanks again for all of your support! It means the world to me!!! 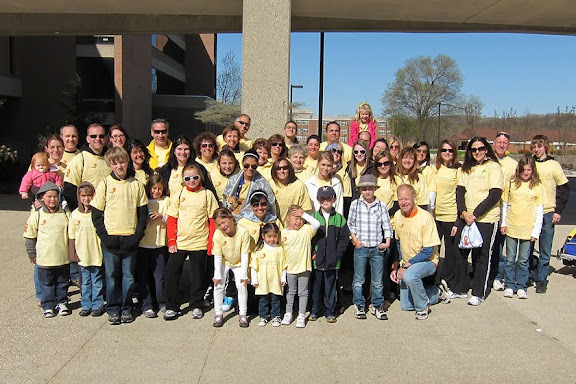 As I said on Tracie's post about the walk, we plan to be right there beside her again next year, but hope & pray that a cure is found before then so we don't even need to have a walk!